What a wonderful year last year was, I cannot believe that it has flown by so quickly. 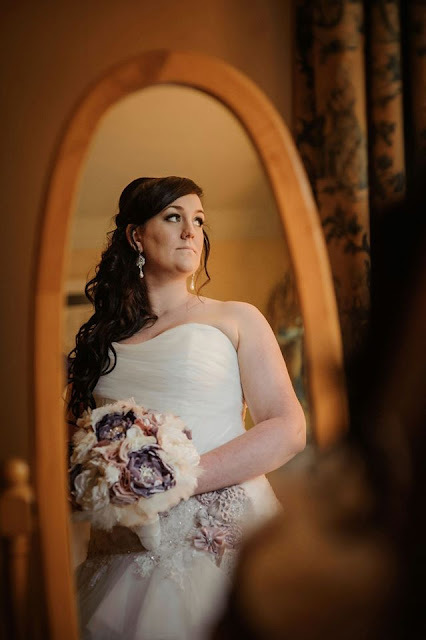 Last year was the busiest year ever for myself Jillian Elizabeth, I was so lucky to be involved in so many beautiful brides Weddings and providing airbrush make-up for them. 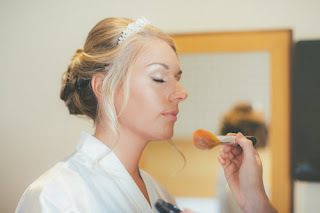 Being able to be a part in someone’s big day is such an honour, doing make-up is my dream job and I am so blessed to be able to share it with so many wonderful brides. 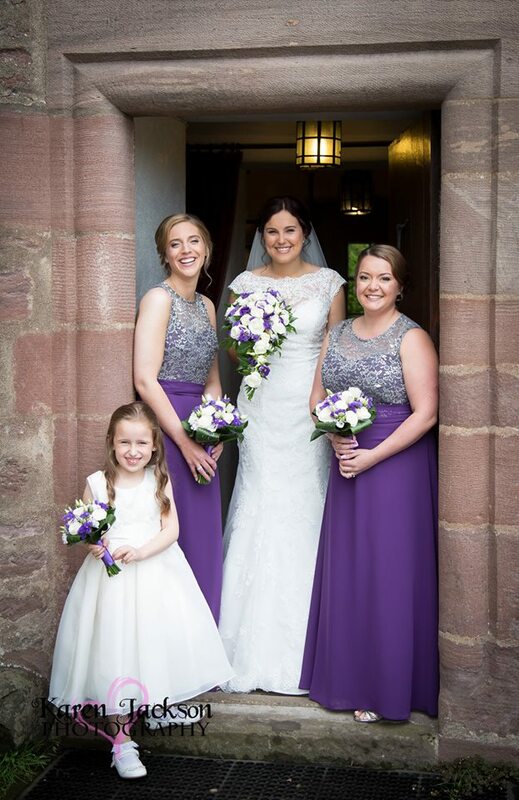 I always feel a little bit sentimental at this time of year when I look back through all of the bridal photographs, I honestly wouldn’t be anywhere without all of these beautiful ladies putting their trust in me. 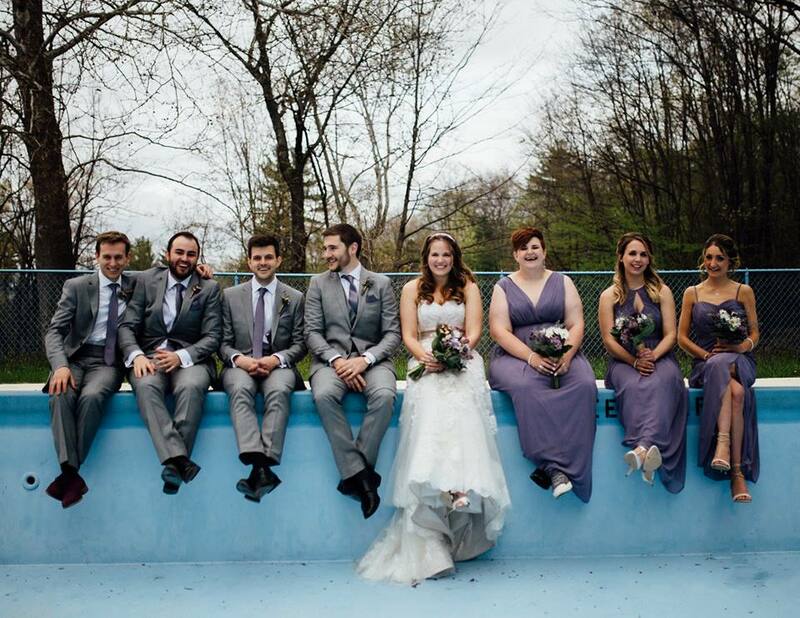 Here are just a few of last year’s beautiful brides and bridal parties and a little bit of feedback from them. 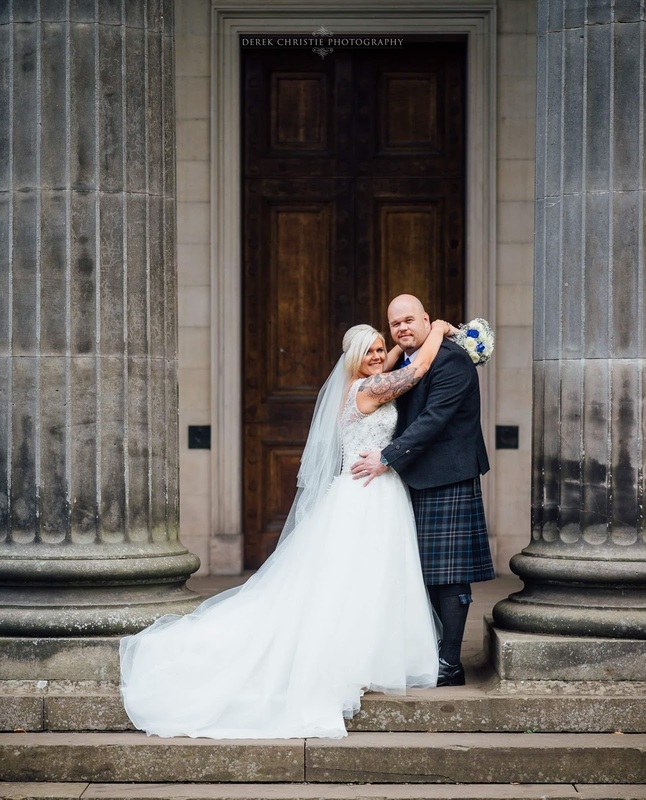 Beautiful photography by the talented Siobhan Diamond Photography. 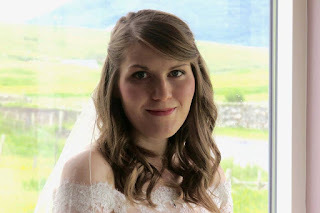 Laura is just so naturally beautiful, for her wedding day she wanted a natural and flawless look so I used the airbrush and natural coloured eyeshadows and lip colours to create the perfect look for her. I also gave her loose bouncy curls to create the perfect wedding look for her. "Every bride experiences some sort of end of the world disaster either pre wedding or during the wedding. Mine was pre wedding when my original make up/hair artist couldn't give me the look i was desperately trying to achieve. 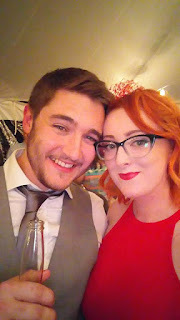 With only 3 weeks before my big day it really did feel like the end of the world. Jillian Elizabeth literally saved the day. She gave me an amazing trial, (with chocolate galore) and created the look i wanted effortlessly. She really put my mind at ease and even on the wedding day helped us all remain calm, going above and beyond her duty (she even painted my toenails!)... now that's value for money. 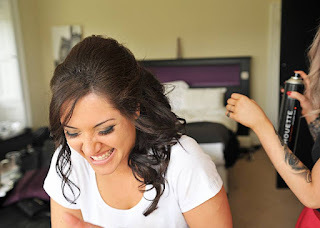 I felt like a million dollars on my wedding day and my hair and make up lasted until the very last minute. The air brush foundation was flawless and felt so light on my skin whilst still giving me full coverage. Can't recommend Jillian enough, she is an absolute dream"
Thank you Dawn Honsky for such beautiful photographs. 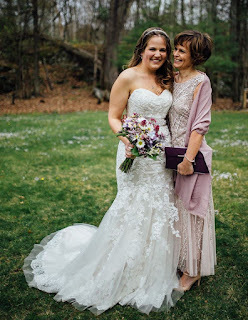 Sophies wedding was extra special for me this year as she is one of my very dear friends and I traveled to New York to do her, her brides maids and mother of the bride and grooms make-up. Sophie is such a natural beauty who tends to wear minimal make-up. She wanted a natural and flawless look that didn't cover up her face as she wanted to feel like herself. I think these pictures and the smile on her face speak for themself as she looks just stunning! "Jillian is incredible. She has been a close friend for years and she did my make-up for my wedding in April 2016 and she was so wonderful. 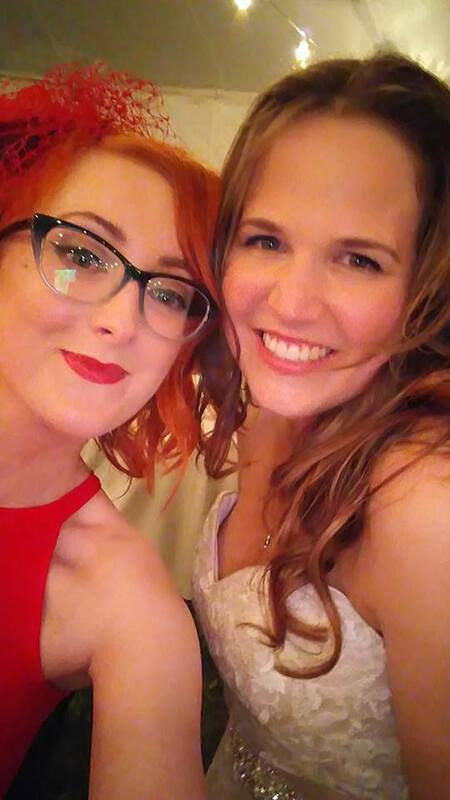 She also did my bridesmaids and Mothers make-up. We all felt amazing, best we ever looked! Jillian made me feel so calm and relaxed. Jillian also stayed back to redo my make-up after seeing my Father for the first time that day, even though she had to get herself ready as she was a guest. She couldn’t do enough for us. We love Jillian!" These wonderful photographs were captured by Chris Simpson Photography. I loved being a part of Jaimi's big day and doing airbrush make-up for her and her bridal party. 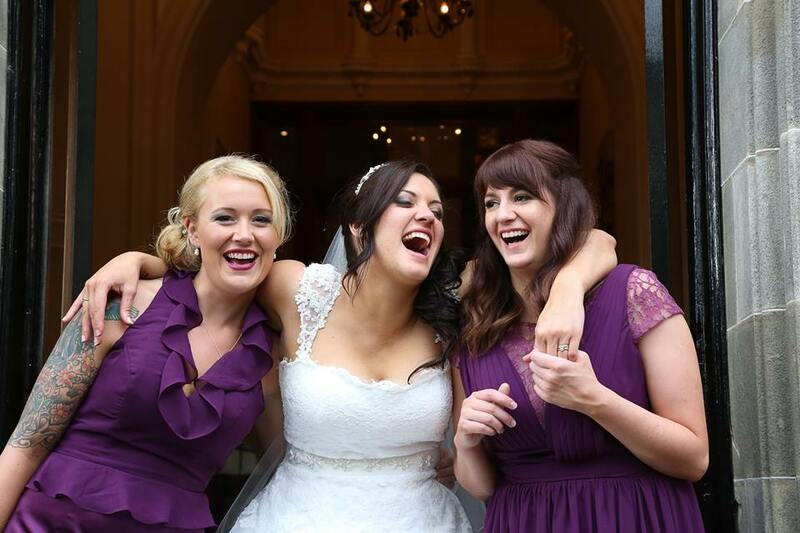 She was such a smiling happy bride and her joy is just infectious. I also loved that she decided to go for a smokey eye teamed with flawless complexion and natural lip. Just beautiful. "Just wanted to give you a message to let you know how delighted I was with all of our make-up on Saturday! You were brilliant all morning and I really appreciate the effort you went to to make us look so good! I was really happy with it, and felt so confident knowing that you'd taken care of it for me! Really chuffed, thanks once again!" Thank you Karen Jackson for these sensational photographs. 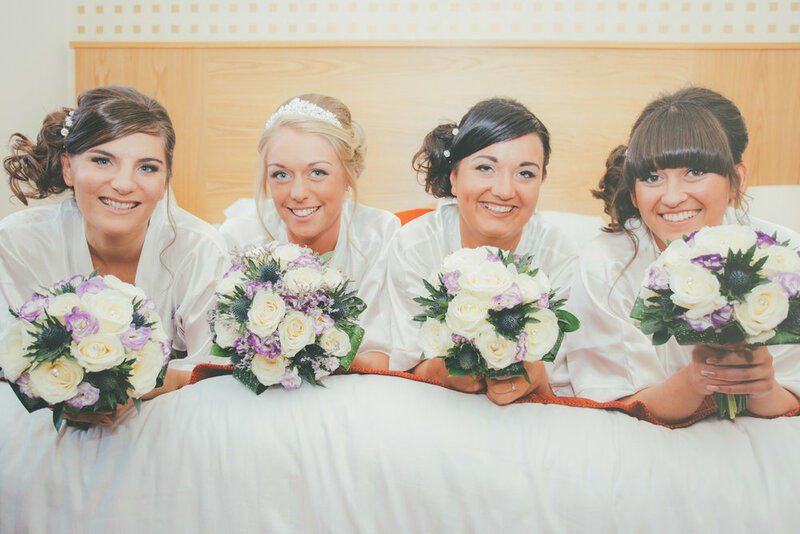 Jackie and her bridesmaids are such beautiful smiling ladies, They all wanted natural make-up to enhance their natural beauty. 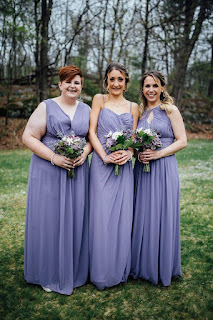 or Jacki I used the Urban Decay Naked 3 Palette to compliment the beautiful purple dresses and airbrush make-up for a flawless complexion. The hair styling for Jacki was done by my good friend Mandy at Hair Ups. 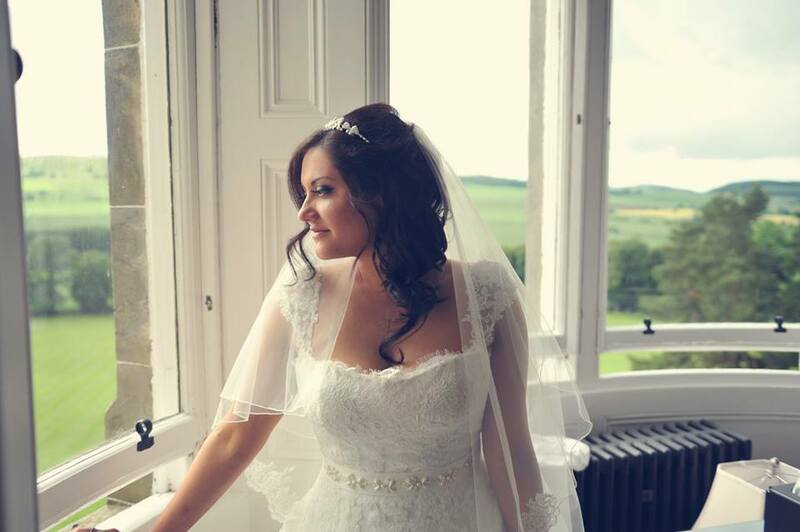 Mandy specialises in wedding hair and is sensational at what she does. 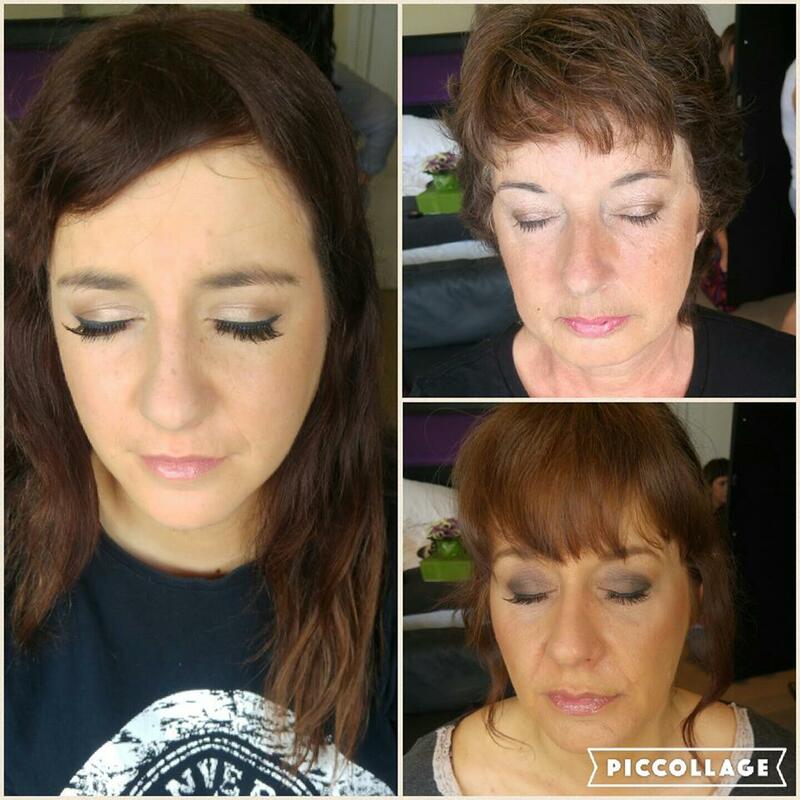 "A big thank you to Jillian for doing a fantastic job of not only my make up but my two bridesmaids and my mum. Jillian is very talented at what she does and very friendly! 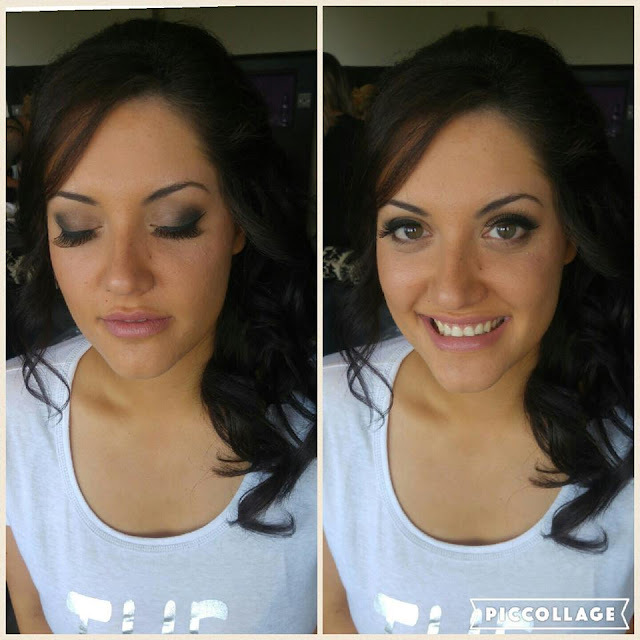 I loved my make up and would highly recommend, thank you Jillian!" 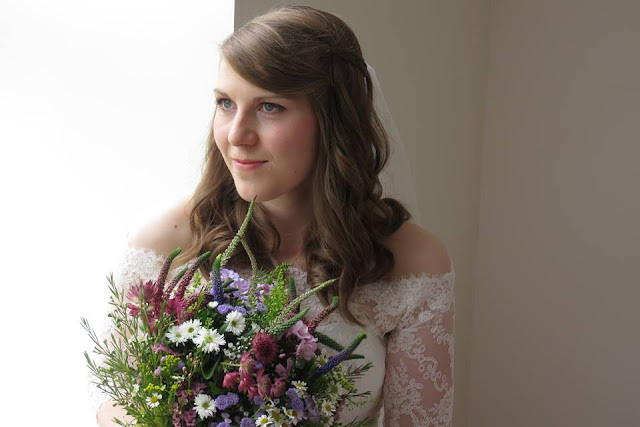 This wedding was another extra special day for me as it was my brothers wedding. 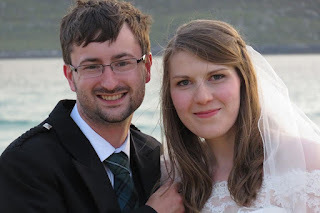 We traveled to the wonderful and windy Scottish Isle of Harris and I cried happy tears. What a beautiful couple they are! I always get slightly nervous doing make-up for people I know however luckily Rachael liked her make-up look. Rachael is such a natural beauty, her skin is flawless so I wanted to emphasise that with the make-up. She went for an ultra natural look that I think suits her completely. 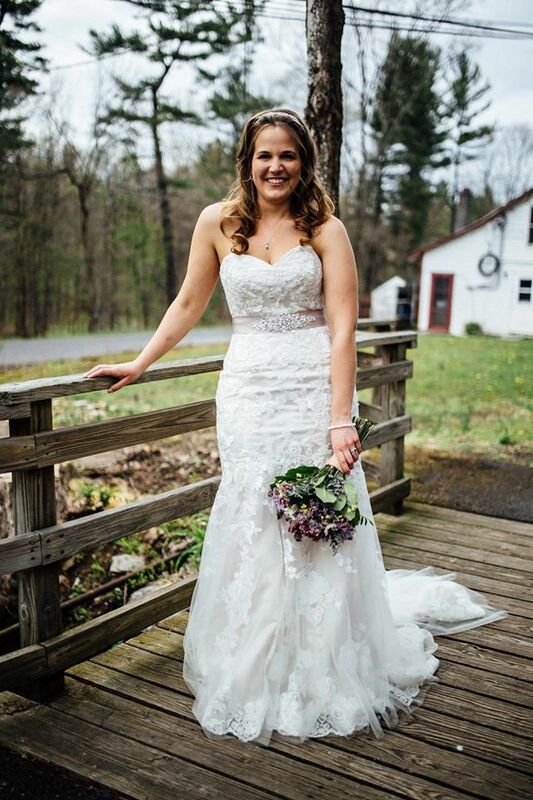 "I can highly recommend Jillian Elizabeth. At my make-up trial Jillian listened to what I wanted and was happy to try several options to find the perfect look for me. 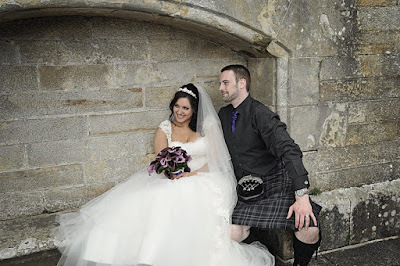 On the wedding-day itself, my make-up looked completely natural and lasted all day despite the Hebridean wind and rain!" A huge thank you to Derek Christie for these beautiful images. I did Kerri and her bridesmaids hair and make-up for the wedding, Kerri is such a fun bubbly person I was so happy to be a part of her day. 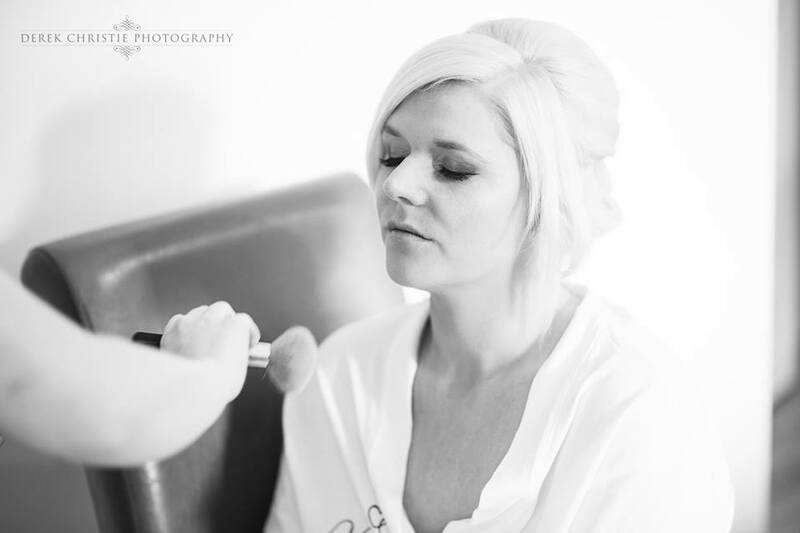 Kerri went for an elegant updo and flawlessly highlighted make-up with beautiful shimmery eyes. "Hi Jillian, just wanted to say a massive thank you for doing our make up on Friday for my wedding! And all the extras you helped with! Make up lasted all day and couldn't have been happier!" Thank you to Kirsty Brown at Memento Studios for these sensational photographs! It was an absolute joy being a part of Zaras wedding this year, she is such a lovely person and seeing her getting ready for her wedding was just amazing. Zara liked her make-up so much she emailed me the day after her wedding. Her email made me so happy, I cannot stress enough that it is things like this that make my job so amazing! "Oh Jillian I don't even know where to start. Thank you so much. I honestly felt beautiful yesterday I cried like a baby and my makeup didn't even move!! Everyone commented on it I felt amazing and the photos look amazing. Best it's ever been love love loved it!!" 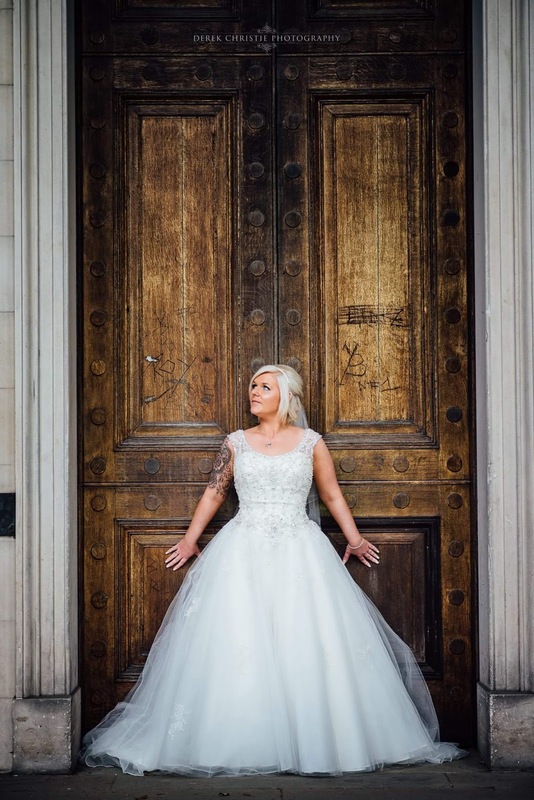 Wow there are just far too many brides to share them all here, a huge huge thank you to all of my amazing brides from last year and thank you to all of the photographers who have provided me with beautiful photographs to use! Please do not hesitate to get in touch through my contact page if you have any questions or would like to book in for for your wedding day. *Please note that I provided make-up for all of the ladies in these photographs, I only provided hair styling where stated. 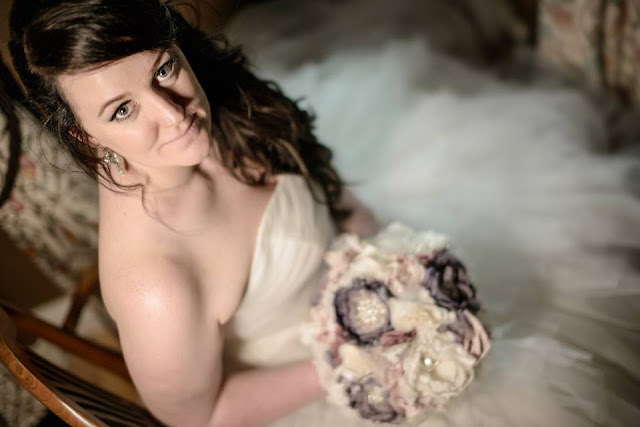 My name is Jillian Elizabeth and I am the head make-up and hair stylist at Cosmetique make-up, hair and beauty studio. 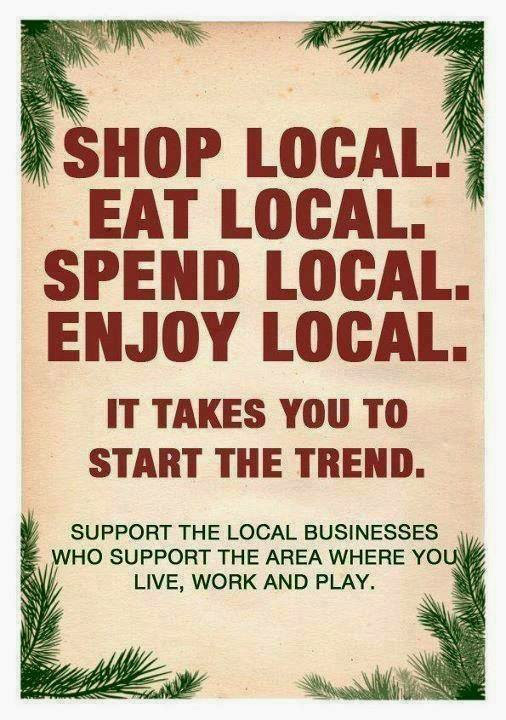 As the head of a small business in Dundee I always love buying locally and supporting other small businesses. 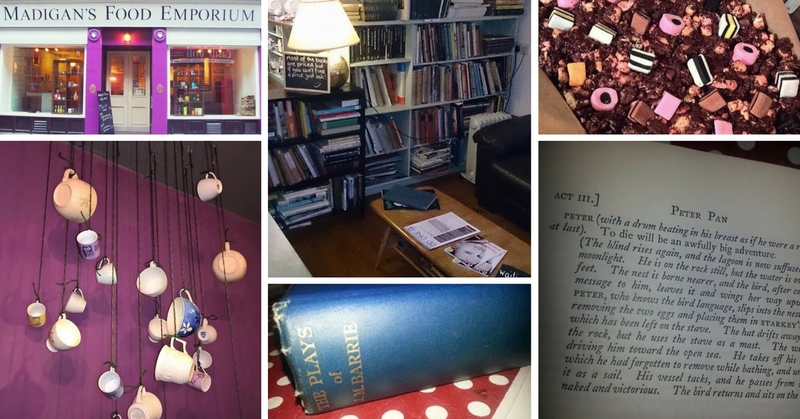 I have put together this Independant gift guide with some of my favourite places to go and to shop in Dundee that have some perfect Christmas gift items. There are so many amazing independent businesses in Dundee it was so tricky to choose just 10, so please do comment with your favourite places as well! 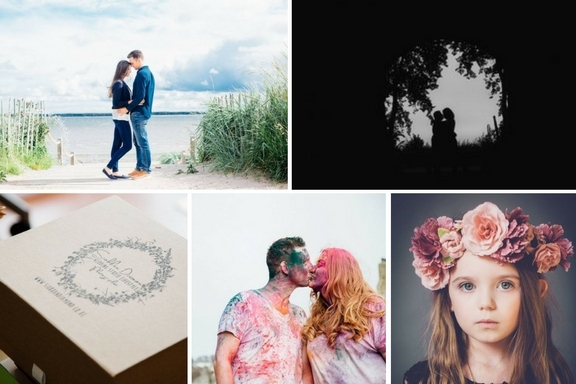 Siobhan is a fun loving and professional photographer based in Dundee providing wedding, studio and lifestyle photography.Her studio is filled with natural light and has the most relaxed atmosphere. Treat that special lady in your life to a make-over photo shoot or gift your husband or wife an amazing family photo shoot so you can have images you can treasure forever. Whats even better is Siobhan has an amazing special offer on right now. Click here to buy her special offer. Cosmetique is the studio where I (Jillian Elizabeth) am based. 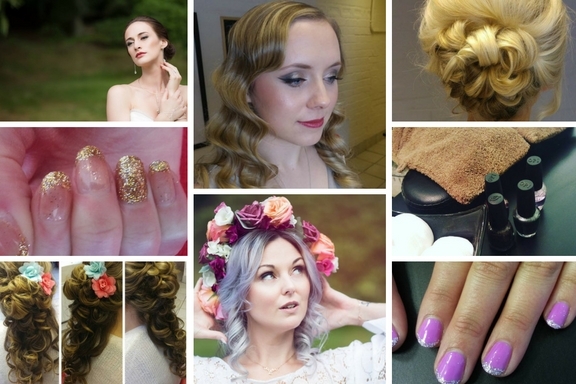 I offer a wide range of make-up, hair styling and beauty treatments. If you have a festive night coming up then why not treat yourself! This Christmas why not treat someone you love to a complete makeover with hair styling and make-up for a relaxing luxury manicure or pedicure. Have a teen in your life? 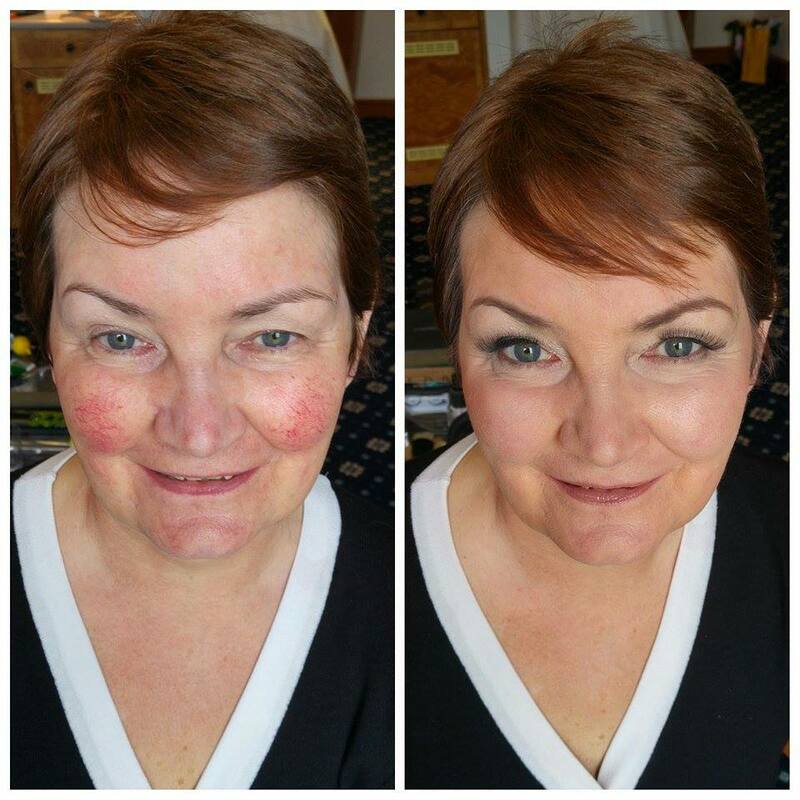 Why not book a make-up lesson so they can learn how to correctly apply their make-up. Have a look at my 12 Days of Christmas special offer for some amazing deals that make the perfect Christmas gift voucher. Spex Pistols has to be one of the coolest shops in Dundee. This optical boutique has the friendliest staff and stocks the most amazing selection of frames and lenses. If you wear glasses every day it has to be the right style for you, I challenge any one to walk into this shop and not fall in love with at least one pair. As well as selling glasses this amazing place has a repair service so if you have a favourite pair you have broken then bring them in. They even put new lenses in my old pair so I could keep them as a spare. 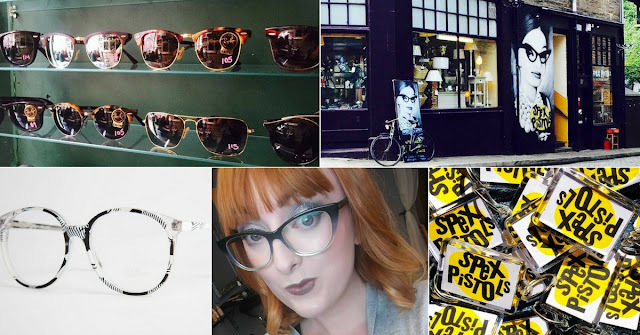 I would love a gift voucher of this place for Christmas (hint hint friends and family) so I can get a stylish set of sunglasses for my holidays and I'm guessing some of your loved ones would too. Head in to the shop or have a look on their website to see just how amazing they are! Mandi Candi Boutique is a stylish and glamorous boutique situated on Exchange street in Dundee. Its staff are professional and friendly and always go that extra mile to help you find the perfect outfit for yourself or as a gift. Whether its clothes for a christmas night out, a work outfit or something comfy and casual or a unique vintage outfit Mandi Candi has it all. They also stock some amazing candles and beauty products. Click here to go to their website and use this blog posts exclusive discount code of "JILLIAN122016" exclusive special offer of 20% off online. Want to see more of what this lovely boutique has to offer then have a look at their instagram page. Scarlett Erskine is an award winning scottish jeweller who creates both wearable and statement pieces. Scarletts pieces are elegant and unique with gorgeous texture that makes them so interesting to look at. Click here to visit her shop where you will find beautiful and unique gifts and experiences that are amazing as Christmas gifts. 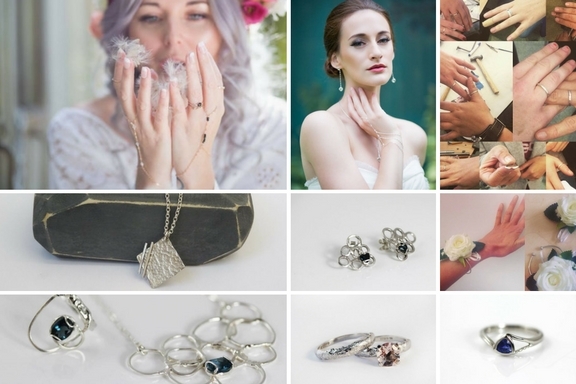 My favourite is the design and make your own ring experience, I have personally had this experience and it is so interesting and fun, plus you have a beautiful ring at the end of it. The Hair Boutique is a modern and stylish hair salon offering a wide range of hair treatments in Dundee. Laura the owner is a friendly and experienced hair stylist who can create the perfect hair style for you, she is the only person I trust to cut my hair and give me a restyle. As well as modern cuts, colours and styling The Hair Boutique has lots of amazing gifts that are perfect for Christmas. 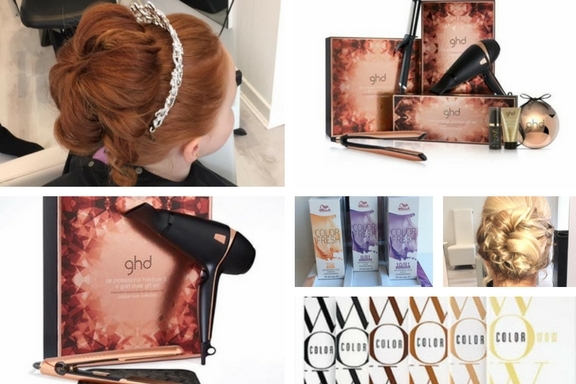 Beautiful Rose gold GHD products, Colour Wow root touch up, Invisibobbles and Tangle Teezers. Click here for the Hair Boutique's facebook page. 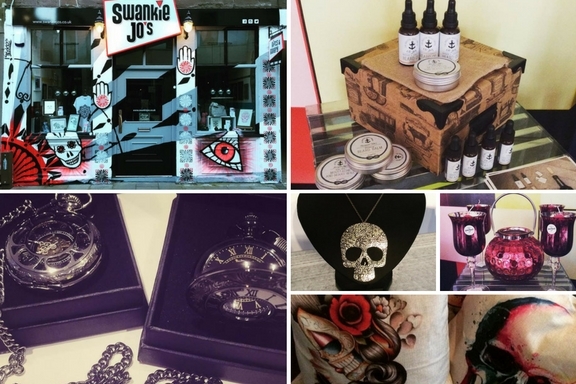 Swankie Jo's is based on Exchange Street in Dundee and offers a wide range of quirky and unique gifts along with jewelry, candles and local art. The staff are always ultra friendly and willing to help. If you are looking for a gift that is a little bit different then definitely get down to this shop. My favourite has to be the vintage style pocket watches! I got one for my partner last year and he loves it! The beard oil and Krispy Kreme candles make the perfect stocking filler and if you aren't sure what to get for a loved one the a gift voucher for this place would be perfect. This place is such a lovely lovely boutique tea room and book shop. The first time I went I loved it and was not sure is the books there were to read while you eat, then I found out they are also for sale... Amazing! I am a huge peter pan fan so finding a whole vintage J M Barrie section was the highlight of this year for me! I really believe there is nothing better than finding an old book that you love. The food in Madigans is so tasty so it why not stop there in between your Christmas shopping. Whether its breakfast a light lunch or just some of their amazing cake this is a must visit spot in Dundee. If you know someone who loves book then there will be something here for you, if you aren't sure where to find what you are looking for their friendly staff can point you in the right direction. Have a look at their facebook page here. I hope you have enjoyed reading this gift guide and that you have a look in all of these amazing places for some of your Christmas gifts this year. I am all for shopping locally and I hope now you are too!! Is Airbrush Make-up Right For My Problem Skin? 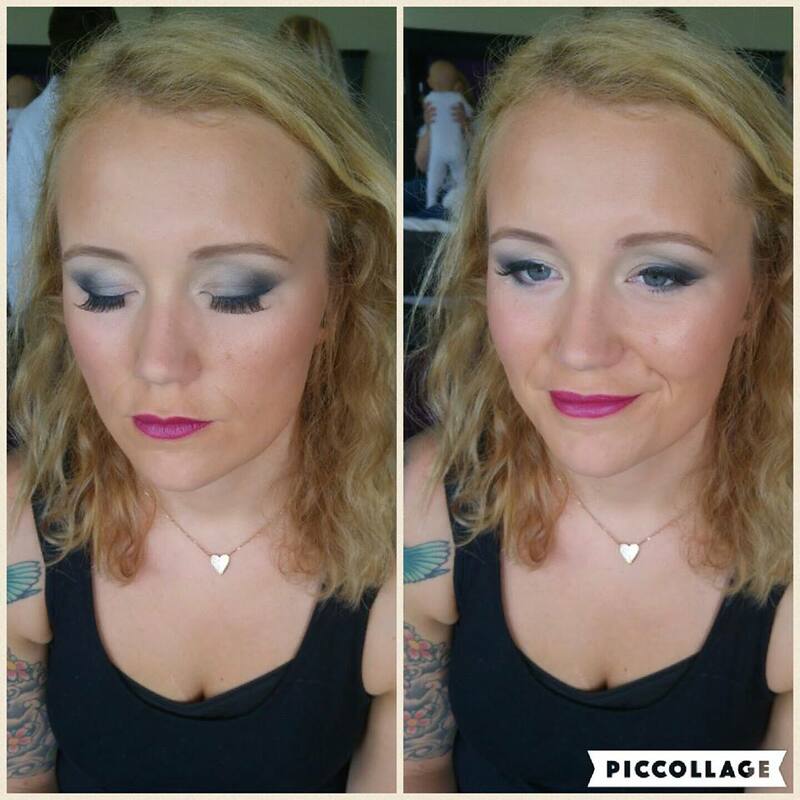 Hello my name is Jillian Elizabeth and I am the head make-up and hair stylist at Cosmetique Studio. 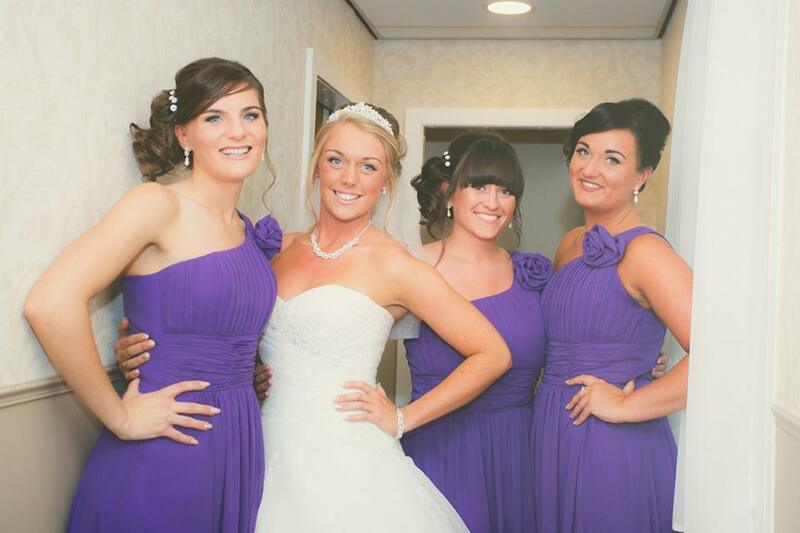 I love doing bridal hair and make-up and helping brides enhance their natural beauty on their wedding day. The airbrush make-up that I use is the highest quality silicone based make-up formula on the market. It provides a natural, dewy finish for a healthy youthful glow on any skin. 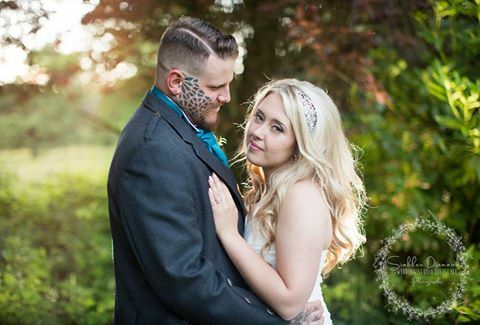 Airbrush make-up is just perfect at helping to camouflage a variety of different skin conditions. 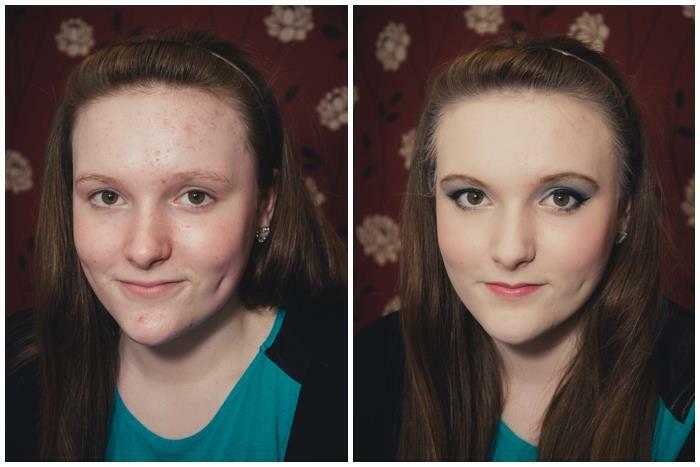 Here are a few examples of make-up that I have done. Redness of the skin is a common complaint for many women. 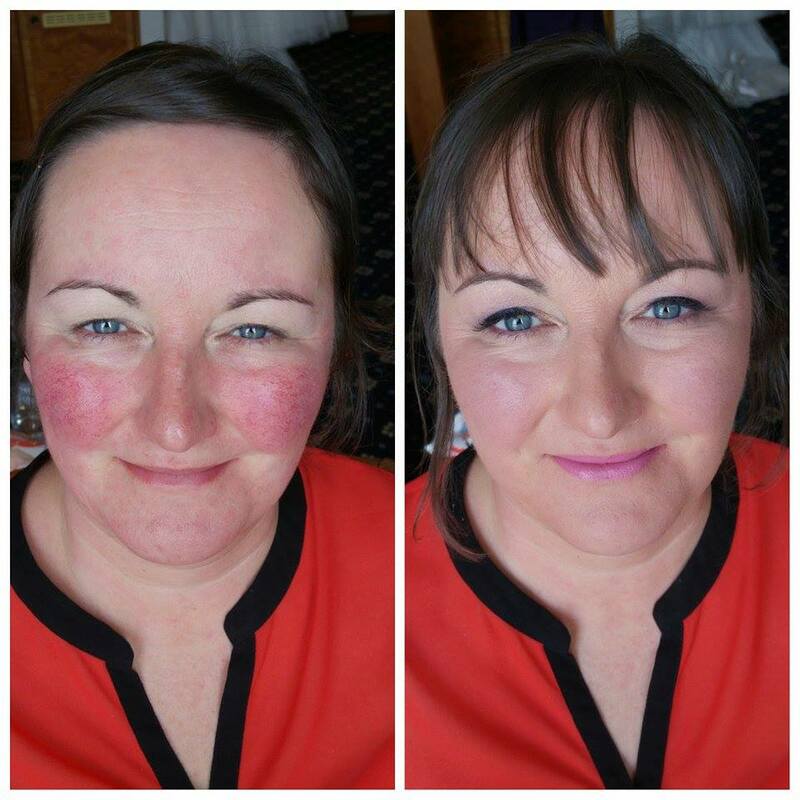 It can often be difficult to have enough coverage to hide the redness without looking too heavy or caked on. The airbrush is perfect for this as it is lightweight so can provide full coverage without feeling or looking heavy. 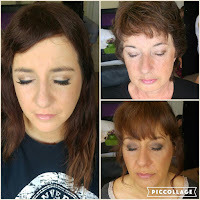 The bridesmaid and mother of the bride from this wedding both had high colouring and broken capillaries on their cheeks. They both wanted a really natural look with all of the redness covered.
" Redness is a huge problem when it comes to make up and you covered it perfectly." Acne and spots are a common skin issue in both male and females and after the spots clear up there can be scarring left behind.The airbrush make-up is great for covering up spots and the scarring left behind. This client has lovely clear skin however had a few spots and some scarring from spots on her forehead. She wanted to wear all of her hair away from her face so wanted her forehead to match the rest of her clear complexion. "I really loved the airbrush make-up, it gave amazing coverage however still felt lightweight on my skin. The make-up lasted all day and into the night and was completely flawless. I will 100% be booking in again." Eczema is a skin condition that can cause redness, dryness and itchiness and can cause the skin to feel irritated and sensitive. It can be difficult to find make-up that works with eczema as applying make-up on top of it can sometimes emphasise the dryness and certain products can further irritate the skin. "I suffer from eczema so I have to be very careful when choosing makeup and I believed I was fated to do my own makeup for my wedding. 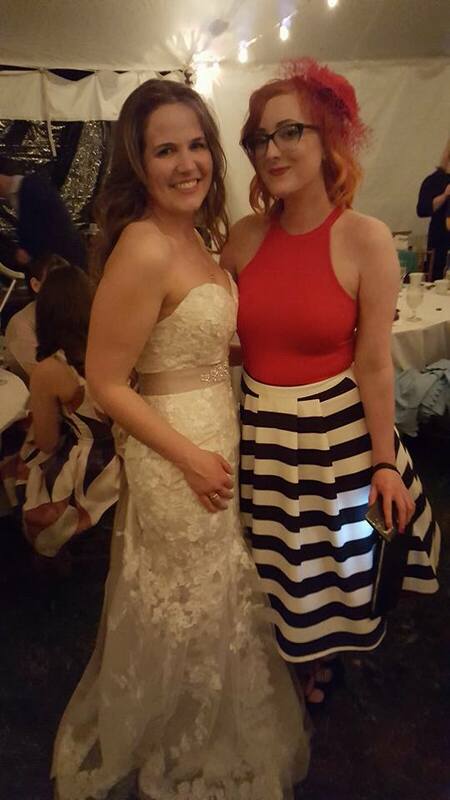 I found Jillian at a wedding event where she explained to me the benefits of airbrush makeup and a few months later we arranged a trial. Jillian loves to pamper her potential brides but most of all she made feel so comfortable and relaxed (the cake and daiquiri may have helped) At the end of the trial I felt and looked amazing! I deliberately chose a morning trial to see how it would last and it was still going strong by midnight the same day and no sign of irritation! " Thank you so much for taking the time to read my blog post. 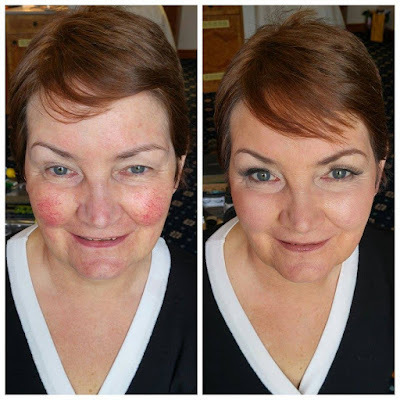 If you have any concerns or questions about your own skin conditions feel free to get in touch and book a make-up trial to see if my airbrush make-up is right for you. Last week I was lucky enough to go to the amazing Kinnettles Castle and do Jaimi and her bridal parties make-up for her wedding. I really love going to this venue as it is so picturesque and the staff are always so friendly. 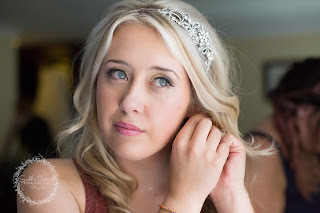 I had such a fun morning helping the girls get ready for the wedding, I used Temptu airbrush make-up to create a long lasting flawless complexion for the girls that they just loved. 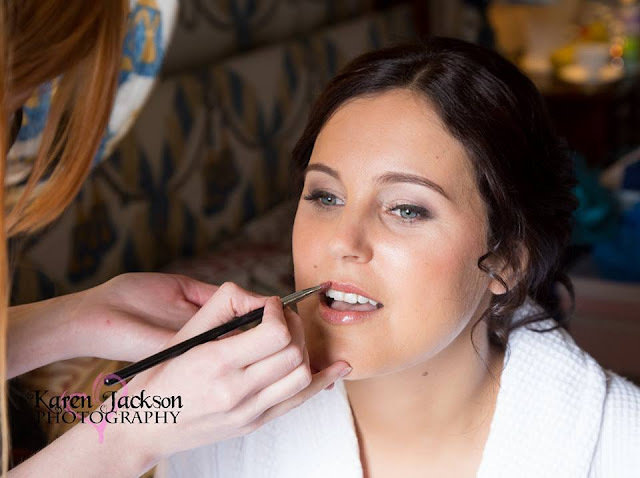 Here is the beautiful bride Jaimi, she wanted a natural flawless complexion with smokey eyes. "Just wanted to give you a message to let you know how delighted I was with all of our make-up on Saturday! You were brilliant all morning and I really appreciate the effort you went to to make us look so good! ☺️ I was really happy with it, and felt so confident knowing that you'd taken care of it for me! Really chuffed, thanks once again!" Brides maids and mother of the bride and groom. Jamie had the incredibly talented Chris over at Chris Simpson Photography capturing her day. Chris was so friendly and professional and his pictures speak for them self. He was kind enough to let me share a few with you all below. 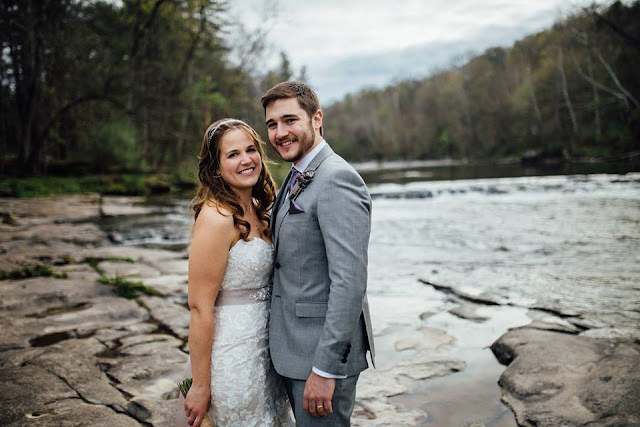 One word that comes to mind when I think of Jaimi is "smiles" as she is so happy and always smiling, I think Chris has captured her personality perfectly. Bridal make-up is my passion and I just love using the airbrush make-up o create a flawless and long lasting finish. If you are looking for a make-up artist for your big day then feel free to contact me. 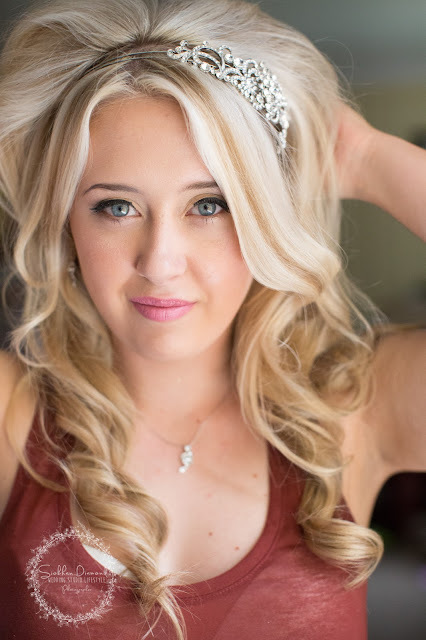 A huge thank you to Jaimi for allowing me to be a part of her big day and letting me share these beautiful images. This blog and this wedding is extra special for me for so many reasons. 8 years ago for the first time in my life I travelled alone to New York to work at a Summer Camp for children and adults with additional support needs. It was an experience that changed my life and made me into the person I am today. This wonderful place was called Camp Huntington, and it is there 8 years ago that I met Sophie and Louis along with so many wonderful other people. These people have come to mean so much to me and I am so lucky to have met them. Sophie and Louis met each other 10 years ago at Camp Huntington and this year they decided to get married in this wonderful place along with their friends and family. These photographs were taken by the extremely talented Dawn Honsky Photography. Thank you so much Dawn for allowing me to share them. Here I am with the bride and groom. 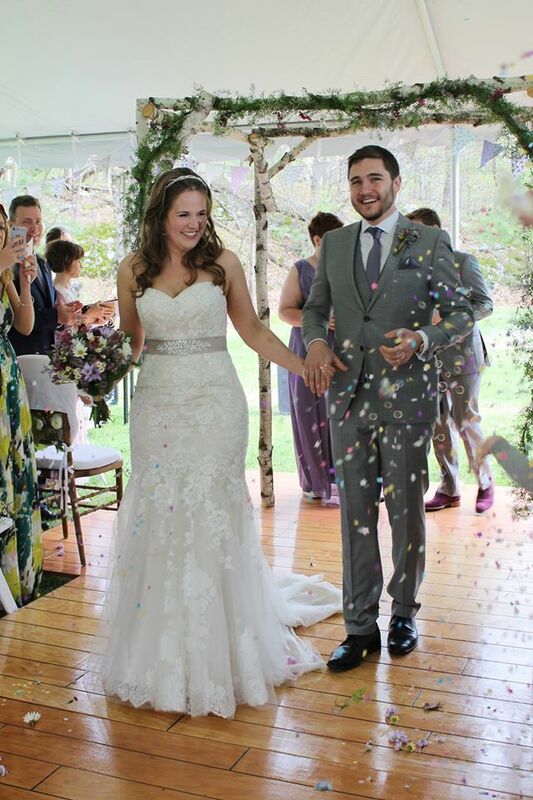 What a wonderful, amazing day we all had, I was so blessed to be a part of it.